When the drive to move is in her blood, pregnancy and motherhood won’t keep her down. We’ve found some fab gifts for the sporty mum in your life, whether she’s expecting, has a newborn or is a seasoned mum who’s an old pro at fitting in workouts around her kids. What do you do when you love bushwalking and you’ve got a baby? Take her along for course. 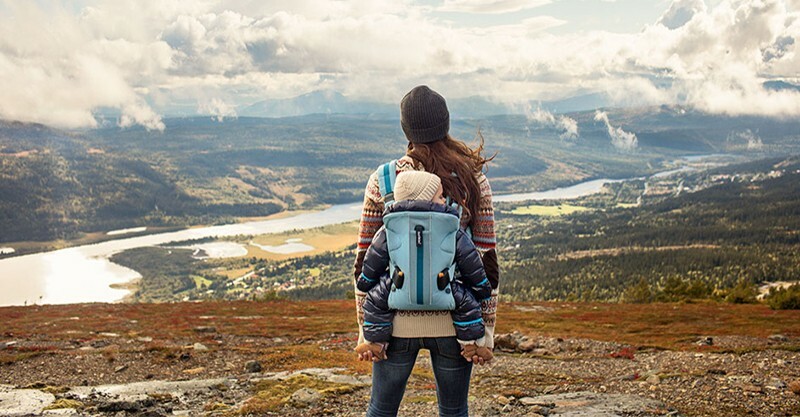 Baby Bjorn’s Baby Carrier One Outdoors ($299.99) (above) is perfect for family hikes. It’s got front and back carry options, it’s breathable with good water repellant properties, the fabric easily wipes clean and there are plenty of loops on the straps to attach essential items like water bottles and favourite stuffies. 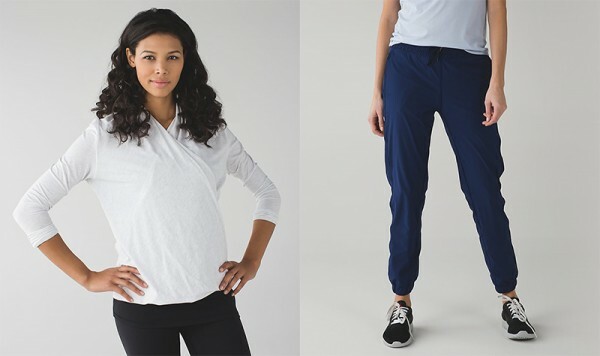 Gorgeous, comfortable fabrics and super flattering designs are the hallmarks of the Lululemon brand. To boot these garments take a beating in the yoga studio, on the running trail and in the washing machine, and I can personally vouch for the fact that they last for years. It was tough to pick favourites, but we settled on these amazing four-way stretch 80s trackies ($129) and the Radiant Long Sleeved Top ($89). It’s billed as a post yoga cover up, but does anyone else see a super comfy breastfeeding top? 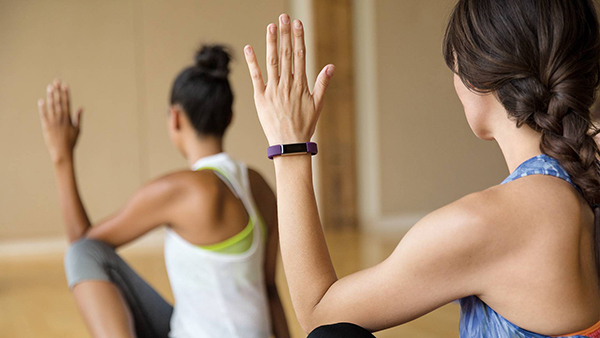 A bright, chic little piece of hardware, the FitBit Alta ($199.95) available from Big W tracks your steps, workouts, syncs with your phone and has caller ID. It’s also got a sleep tracker, but for mums of night owl babies, we recommend you ignore this feature. The reality of how little sleep you actually get might be tough to deal with. The Leaderback One Piece ($100) by Speedo is not just for getting into the pool for baby swimming lessons, it’s for a mama doing long, meditative laps in the grown-up pool, all by herself. Sounds incredible, no? Four simple words will have any mum sold on a Fitness First membership ($26/week for 18 months): they have a creche. Suddenly “couldn’t find a sitter” doesn’t work as an excuse for missing yet another Abs Butts and Thighs class. We know trainers should be about function and not form, but we love the fluoro footwear trend. Case in point: the “fierce fuschia” colour of Reebok’s All Terrain Super 2 trainers ($84.99). So bright and amazing, they might just make you run faster. The cry “I’ve got nothing to wear!” need not extend to your workout wear. Pregnant? Recovering from a caesar? There’s activewear for that thanks to 2XU, ace makers of maternity and post-natal exercise gear. Leggings start at $165. If you’ve ever experienced the uncomfortable contortion of nursing in a sportsbra, you’ll appreciate the easy access activewear ($59) for nursing mums by Cadenshae. Sometimes pregnancy makes your hair fall out, and sometimes it makes you grow an uncontrollable mane. 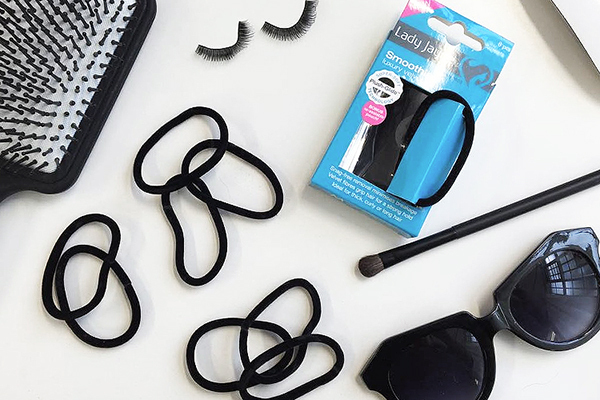 Lady Jayne’s super strong hair ties and headbands will keep your locks at bay when the music is pumping and you’re spinning out that last gruelling sprint. Some sporty mamas just want a bit of zen, and a one month pass ($115) to a yoga studio like Humming Puppy in Sydney and Melbourne is just the ticket. The studios are gorgeous warehouse spaces, with extras like complimentary hair dryers, straighteners, tea, coconut water and phone chargers. Then get your breath back with a cup of Prana Chai tea. Hand-blended in Melbourne from all natural ingredients, Prana Chai’s Masala tea mixes pure Australian honey with tea and whole spices from India, Sri Lanka and Guatemala. 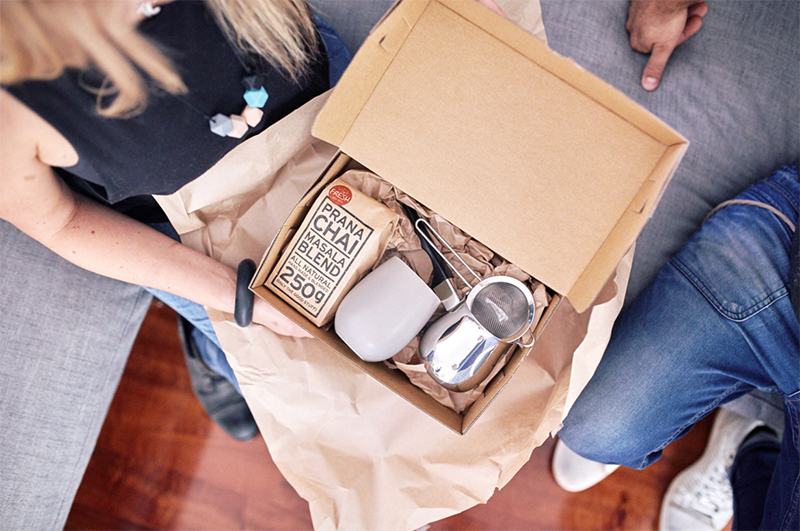 The Prana Chai Starter Gift Set has everything a mum needs to brew her own refreshing cup of tea, including a rather lovely Robert Gordon chai latte Hug Mug. All this for only $39. For the mum who loves to run, we’ve saved the most special gift for last. 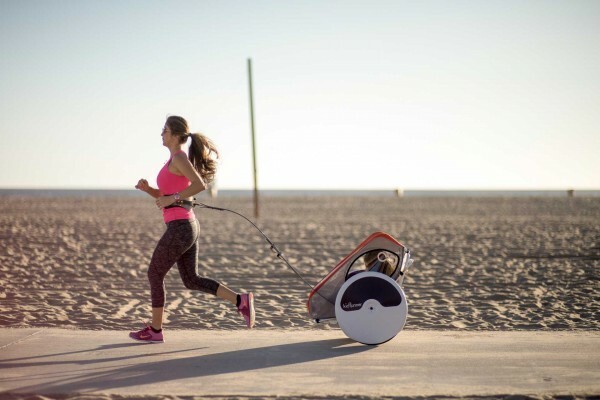 It’s the kidRunner running pram ($976). Designed to be pulled from a waist harness instead of pushed, the kidRunner is a super smooth ride that keeps your arms free for a natural running form. All these things would be loved by any sporty mum, but we’ll wager the thing she’d love most is simply regular times to get out and do the exercise she loves. Happy Mother’s Day to our lovely ladies who love to move!